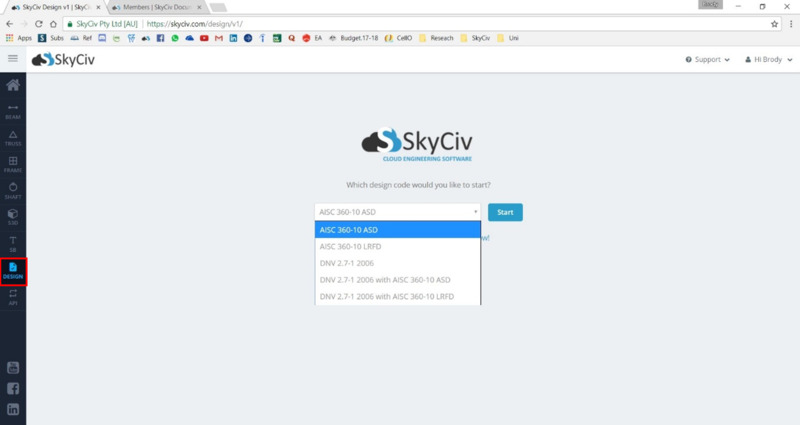 SkyCiv offers its users standalone Design Software to check member and section sizing according to design codes/standards around the world. To access the standalone software you can either Click Here or click on the Design button in the side menu while logged in, as highlighted in red in the figure below. DNV 2.7-1 2006 with AISC 360-10 LRFD. Once a code/standard is selected you will be prompted to chose a unit system of either Imperial or Metric as shown in the figure below.